Jack popped some chunks of fresh vegetables into the dicer and in moments a freshly chopped salad was ready to be poured into his ziplock bag of dressing. Mark shut the airlock behind him as he floated into the station's living quarters module. "Man, either someone down there is trying to play a joke or we got a really trippy shipment of stuff on that shuttle today." Jack scooped a fresh chunk of salad all stuck together with dressing out of the bag and savored the bite. "Um, Jack those mushrooms weren't THAT kind of mushroom!" This is 5 Sentence Fiction. Originally started by Lillie McFerrin, today I chose to find a picture and use a word of my own. 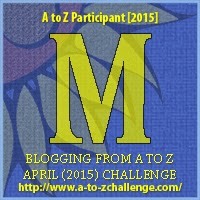 Today's post was also inspired by the letter M. M is for: Mushroom as part of the Blogging from A to Z April 2015 challenge! Click on the letter to join on in the fun! For Readers: If you could send an astronaut on the international space station any one item, what would you send them? EEEEww! Hope Jack is fine after eating that! 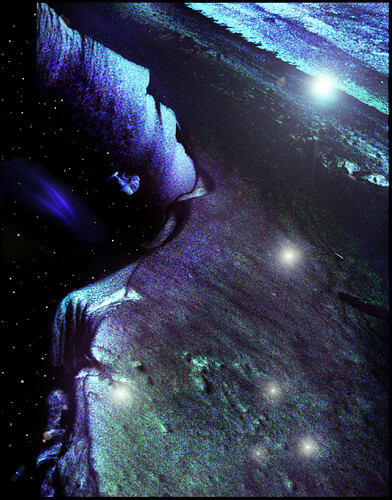 Psychedelic mushrooms in space... yeah- not sure if that is a good combo or not lol.